This stylish trench is unlined and features a button-through opening, inverted back pleat, curved patch pockets, collar and detachable hood. Tessuti has designed it as the perfect trans-seasonal garment, and took great care in giving it all the hallmarks of a classic style that will last for years and years. The A-line silhouette is combined with the inverted back pleat, which gives the coat a gorgeous swing. The lined hood is detachable by a row of five buttons, giving you the option to wear it with or without so it would look great to wear to the office. 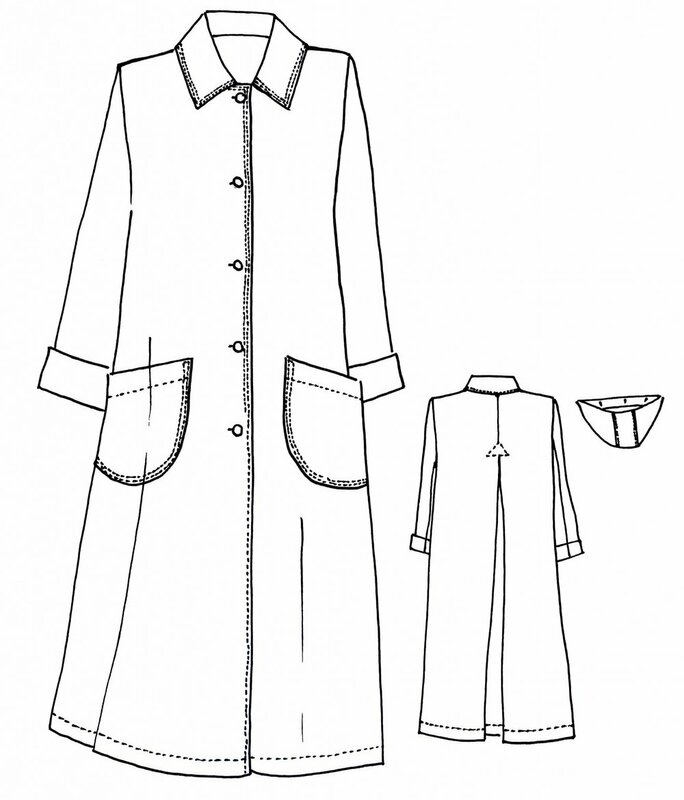 The sewing pattern is suitable for all sorts of fabrics including water-resistant polyesters, nylon, medium weight wools and wool crepes, firm cotton and cotton blends.